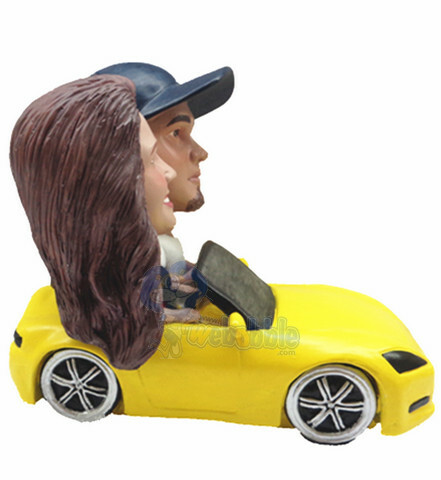 A couples together in a sports car. 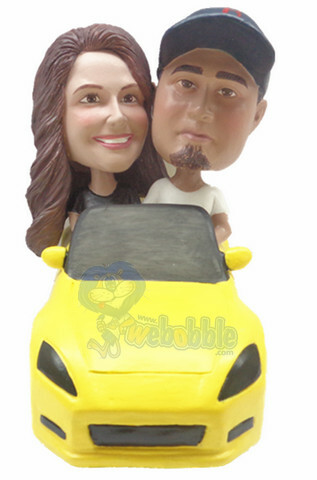 This couple in car custom bobblehead doll makes you feel young at heart. 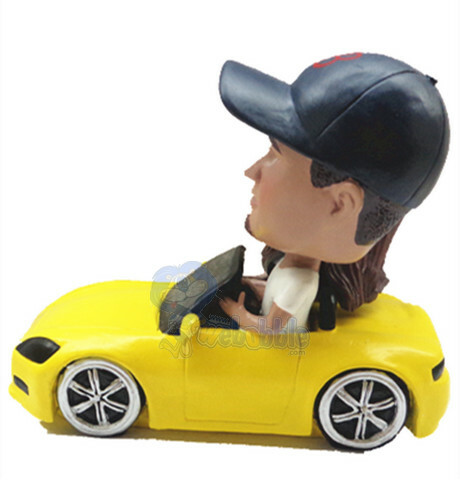 The male in this is wearing a hat, while this is not included in our sample you can order a hat to any item on the order form.